The beauty of microphotography is seeing the universe in an incredibly small space. 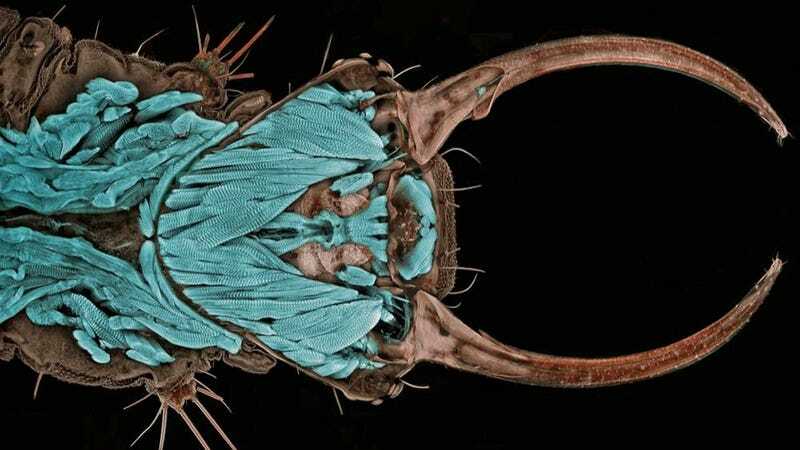 There are strange creatures and startling vistas — like this 20x portrait of green lacewig larva, taken by Igor Siwanowicz of the Max Planck Institute of Neurobiology. Nikon announced the winners of its Small World Photomicrography Competition earlier today. There were a total of 20 awardees, but here are some of our favorites (be sure to click to embiggen). Head over to MSNBC for high-res versions of all 20 winners, and be sure to check out Nikon's competition page for over thirty years' worth of Small World galleries. "Groovy grains" — A 4x picture of grains of sand by the Beijing Planetarium's Yanping Wang.